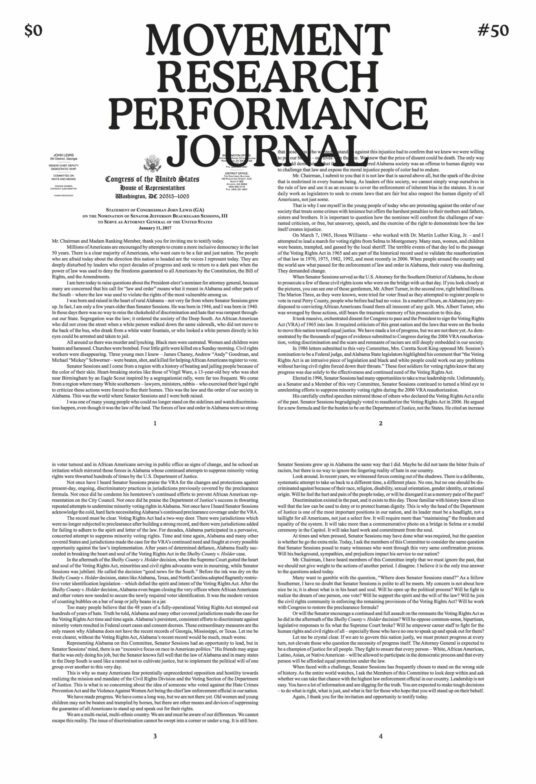 Transcripts of two speeches from Congressman John Lewis — one from 1963 and the other 2017 — wrap around Issue 50 of the Movement Research Performance Journal as front and back cover, simultaneously documenting a legacy of activism, and hopefully resounding in present collective consciousness as a reminder of the work to which we must hold ourselves accountable. There is no one-to-one correlation between these transcripts and the content in this issue, but there are links and an extension of scale beyond artistic and institutional practice into broader discussions of democracy and civic responsibility. "Work" is a line of inquiry that can be traced throughout the issue: the work an artist develops; the work that an institution does; the roles we all create and justify in local and global communities; "work" in the context of activism. Work is a collective process, especially in the multi-vocal nature of any society, social group, and certainly in performance practices. Click here to read the full Press Release.